A clog or jam in the sewer is always unexpected and always happens at the wrong time. 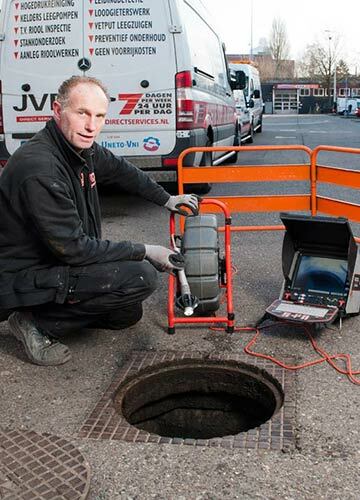 It is good for you to know that JVD (Jan van Dijkhuizen) Direct Services B.V. offers 24 hours a day and seven days a week (24/7) services to unclog your sewer, so that the drainage problem is dissolved quickly and your sewer is well-serviced again. Quite a reassurance. You also will have met our well-educated sewer service technicians who work with state-of-the-art technology to remedy your clogged sewer. When paying for the work on the clogged sewer, you will find that JVD Direct Services B.V. does NOT CHARGE A CALL OUT FEE.